December 13, 2014 – BMPW: Shazza McKenzie defeated Charli Evans. January 17, 2015 – NPW: Harley Wonderland and Shazza McKenzie defeated Charli Evans and Jessica Troy. April 11, 2015 – RRW: Charli Evans and Dan Wilson defeated Jessica Troy and JT Robinson. May 23, 2015 – RRW: Jessica Troy defeated Charli Evans. May 29, 2015 – PWE: Regular Team (Cody Swift & El Tecniko) and Vixsin defeated The Hive (Bee Boy & MANtis) and Charli Evans. May 30, 2015 – PWE: Charli Evans defeated Minzy Montana and Scarlett in a 3-way match. June 19, 2015 – RRW: Shazza McKenzie defeated Charli Evans. June 20, 2015 – RRW: Charli Evans defeated Shazza McKenzie. July 17, 2015 – PWA: The Floozies (Charli Evans and Jessica Troy) defeated Kellyanne and Shazza McKenzie. July 25, 2015 – RRW: Jessica Troy defeated Charli Evans. August 29, 2015 – PWA: Charli Evans and Jessica Troy defeated Shazza McKenzie in a 3-way match. Jessica Troy & Charlie Evans wins the PWWA title. October 10, 2015 – MCW: Charli Evans defeated Jessica Troy. October 17, 2015 – NPW: Charli Evans vs. Jessica Troy ended in a time limit draw. October 24, 2015 – OCW: Kellyanne defeated Charli Evans. November 12, 2015 – IWA: Harley Wonderland and Rachel Rose defeated The Floozies (Charli Evans and Jessica Troy). February 28, 2016 – RRW: Jessica Troy defeated Charli Evans. March 18, 2016 – AWE: Harley Wonderland defeated Charli Evans. April 23, 2016 – PWA: Charli Evans and Jessica Troy defeated Michelle K. Hasluck. Jessica Troy retains the PWWA title. May 20, 2016 – NHPW: Violet O’Hara defeated Charli Evans in the 1st round. May 21, 2016 – NHPW: Charli Evans, Kellie Skater, Madison Eagles and Mercedes Martinez defeated Chanel, Lady Lory, Saraya Knight and Violet O’Hara. June 3, 2016 – AWE: Harley Wonderland and Hudson Kai defeated Charli Evans and Mr. Exclusive. June 11, 2016 – MCW: Demi Bennett and Erika Reid defeated Charli Evans and Shazza McKenzie. July 25, 2016 – RRW: Jessica Troy defeated Charli Evans. August 6, 2016 – PWA: Kellie Skater defeated Charli Evans and Jessica Troy by disqualification. Jessica Troy retains the PWWA title. September 17, 2016 – NPW: Harley Wonderland defeated Charli Evans. October 1, 2016 – PWA: Charli Evans defeated Big Fudge to retain the PWWA title. October 29, 2016 – NPW: Jessica Troy defeated Charli Evans, Harley Wonderland and Shazza McKenzie in a 4-way match. November 5, 2016 – RCW: The Floozies (Charli Evans and Jessica Troy) defeated Bianka and Indi Hartwell. November 19, 2016 – PWA: The Floozies (Charli Evans and Jessica Troy) defeated Big Fudge and Jude London. November 27, 2016 – Wrestling GO Friends Forever: VIP (Jarrod Idol and Jax Jordan) defeated The Floozies (Charli Evans and Jessica Troy). February 25, 2017 – VPW: Riebell defeated Charli Evans to retain the women’s title. March 25, 2017 – Newy Pro: BABES (Harley Wonderland and Rachel Rose) defeated The Blue Nation (Charli Evans and Jessica Troy). April 29, 2017 – Newy Pro: Shazza McKenzie defeated Charli Evans. May 6, 2017 – Wrestling BO: Conco And The Fudge (Big Fudge and Concrete Davidson) defeated The Four Nations (Charli Evans and Jack Bonza) to qualify for the Double Medals Tournament. May 13, 2017 – MCW: Kellyanne defeated Charli Evans. July 7, 2017 – RISE 3: Fire And Nice (Britt Baker and Chelsea Green) defeated The Floozies (Charli Evans and Jessica Troy). July 8, 2017 – SHIMMER Volume 92: Thunderkitty defeated Charli Evans. July 8, 2017 – SHIMMER Volume 93: Delilah Doom and Leva Bates defeated The Blue Nation (Charli Evans and Jessica Troy). July 9, 2017 – SHIMMER Volume 95: Jessicka Havok defeated Charli Evans. August 12, 2017 – EVE: Charli Evans defeated Erin Angel. Leah Owens defeated Charli Evans, Kay Lee Ray and Nina Samuels in a 4-way match to become #1 contender for the Pro-Wrestling:EVE title. August 20, 2017 – ATTACK! : Charli Evans defeated Beano, Brendan White, Charlie Sterling, Drew Parker and Posada in a 6-way match. August 26, 2017 – FCP: Pete Dunne defeated Charli Evans, Eddie Dennis, Jack Sexsmith, Jordan Devlin, Lee Hunter, Martina and Millie McKenzie in a 8-way match. August 29, 2017 – Lucha Forever: Bea Priestley defeated Charli Evans. August 31, 2017 – Lucha Forever: Bea Priestley defeated Cara Noir, Charli Evans, El Ligero and Shax in a 5-way match. September 3, 2017 – BEW: Charli Evans defeated Jayde. Thunder Rosa defeated Charli Evans to win the vacant AIWF International women’s title. September 8, 2017 – EVE: Debbie Sharp defeated Charli Evans in a anything goes match. September 15, 2017 – Bellatrix 26/RISE 4: Violet O’Hara defeated Charli Evans. September 30, 2017 – Kamikaze Pro: Charli Evans defeated Veda Scott. October 2, 2017 – PROGRESS: Charli Evans defeated Charlie Morgan in the 1st round. Charli Evans defeated Chakara in the semi-finals. Charli Evans defeated Jinny to win the tournament and become #1 contender for the women’s title. October 6, 2017 – EVE: Charli Evans defeated Charlie Morgan and Kasey Owens in a 3-way match. October 8, 2017 – Fierce Females: Danni Hunter defeated Charli Evans to retain the Internet title. October 15, 2017 – RevPro: Jinny defeated Charli Evans and Veda Scott in a 3-way match. October 28, 2017 – SWA: Kat Von Kaige defeated Charli Evans and Shax in a 3-way match. October 29, 2017 – PROGRESS Chapter 56: Toni Storm defeated Charli Evans to retain the women’s title. November 10, 2017 – RISE 5: Aja Kong & The Blue Nation (Charli Evans and Jessica Troy) defeated Dynamite DiDi, Hiroyo Matsumoto and Rachael Ellering. November 11, 2017 – SHIMMER Volume 96: Team Hottest Free Agents (Ashley Lane and Deonna Purrazzo) defeated The Blue Nation (Charli Evans and Jessica Troy). November 11, 2017 – SHIMMER Volume 97: Candice LeRae defeated Charli Evans. November 12, 2017 – SHIMMER Volume 98: The Blue Nation (Charli Evans and Jessica Troy) defeated Solo Darling and Thunderkitty. November 19, 2017 – ATTACK! : Charli Evans defeated Jeff Ramsey in a dark match. November 28, 2017 – Lucha Forever/IPW:UK: Big T. Justice defeated Charli Evans. December 2, 2017 – Riptide: Kaggy defeated Candyfloss, Charli Evans, Laura Di Matteo and Rhia O’Reilly in a 5-way match. December 3, 2017 – RevPro: Jinny defeated Charli Evans. December 8, 2017 – 3CW: Charli Evans and Sammii Jayne defeated Jetta and Little Miss Roxxy. December 9, 2017 – 3CW: Charli Evans vs. Little Miss Roxxy ended in a no contest. December 30, 2017 – PROGRESS Chapter 60: Millie McKenzie defeated Candyfloss, Chakara, Charlie Morgan, Charli Evans and Sierra Loxton in a 6-way match. January 6, 2018 – RevPro: Millie McKenzie defeated Charli Evans in the 1st round. January 7, 2018 – RevPro: Charli Evans and Nina Samuels defeated Sammii Jayne and Zan Phoenix. January 13, 2018 – EVE: Leah Owens defeated Charli Evans to qualify for the ladder match. Charli Evans was also in the Pro-Wrestling:EVE title rumble match which was retained by Sammii Jayne. January 14, 2018 – PROGRESS Chapter 61: Charli Evans and Millie McKenzie defeated Bea Priestley and Nina Samuels. February 3, 2018 – SWA: Kat Von Kaige defeated Charli Evans. February 9, 2018 – Bellatrix 28: Lana Austin defeated Charli Evans. February 10, 2018 – EVE: Addy Starr, Laura Di Matteo and Rhia O’Reilly defeated Ayesha Raymond, Charli Evans and Jamie Hayter. February 15, 2018 – RevPro: Charli Evans defeated Veda Scott. March 2, 2018 – Riptide: Candyfloss defeated Charli Evans. March 3, 2018 – Riptide: Fraser Thomas defeated Charli Evans, Dan Magee and Rob Lias in a 4-way dark match. March 10, 2018 – EVE: Charli Evans and Jamie Hayter defeated Addy Starr and Laura Di Matteo. March 24, 2018 – Kamikaze Pro: Charli Evans defeated Shax. Charlie Evans was also in the rumble match won by Clint Margera. April 1, 2018 – OTT: Kris Wolf and Laura Di Matteo defeated Charlie Morgan and Charli Evans. April 7, 2018 – SHIMMER Volume 100: The Blue Nation (Charli Evans and Jessica Troy) defeated Fire And Nice (Britt Baker and Chelsea Green). April 13, 2018 – RISE 7: The Blue Nation (Charli Evans and Jessica Troy) defeated Fire And Nice (Britt Baker and Chelsea Green). April 14, 2018 – SHIMMER Volume 101: The Totally Tubular Tag Team (Delilah Doom and Leva Bates) defeated The Blue Nation (Charli Evans and Jessica Troy) to retain the tag titles. April 14, 2018 – SHIMMER Volume 102: Kris Wolf defeated Charli Evans, Mia Yim and Shotzi Blackheart in a 4-way match. April 15, 2018 – SHIMMER Volume 104: The Killer Death Machines (Jessicka Havok and Nevaeh) defeated The Blue Nation (Charli Evans and Jessica Troy). April 21, 2018 – 3CW: Charli Evans defeated Erin Angel in the quarter-finals. April 27, 2018 – Kamikaze Pro: Millie McKenzie defeated Charli Evans. May 5, 2018 – EVE: Addy Starr, Emi Sakura, Laura Di Matteo and Rhia O’Reilly defeated Blue Nikita, Charli Evans, Jamie Hayter and Jayla Dark in a war games rules match. May 12, 2018 – EVE: Charlie Morgan defeated Charlie Evans to retain EVE title. May 19, 2018 – 3CW: Jetta defeated Charli Evans in the semi-finals. May 26, 2018 – ATTACK! : Millie McKenzie defeated Charli Evans. June 1, 2018 – FCP: Chris Brookes defeated Charli Evans, Clint Margera, Kris Wolf, Mark Davis and Martina in a 6-way match. June 9, 2018 – EVE: Charli Evans defeated Viper. June 16, 2018 – Kamikaze Pro Live #12: Harley Faith defeated Charli Evans. June 22, 2018 – TCW: Isla Dawn defeated Charli Evans and Millie McKenzie in a 3-way match. June 23, 2018 – SWE: Charli Evans defeated Veda Scott. June 23, 2018 – SWE: Lana Austin, Martina and Millie McKenzie defeated Charli Evans, Ivy and Shanna. June 24, 2018 – Fierce Females: Charli Evans defeated Katey Harvey. June 29, 2018 – RISE 8: Blue Nation (Charli Evans and Jessica Troy) defeated The Killer Baes (Heather Monroe and Laura James). June 30, 2018 – AWS: Shazza McKenzie defeated Charli Evans in the 1st round. July 6, 2018 – NOVA: The Blue Nation (Charli Evans and Jessica Troy) defeated Bad Behavior (Brittany Blake and Penelope Ford). July 7, 2018 – RISE 9: RISE Of The Knockouts: Paradise Lost (Dust and Raven’s Ash) defeated Fire And Nice (Britt Baker and Chelsea Green), The Blue Nation (Charli Evans and Jessica Troy) & Kylie Rae and Miranda Alize in a 4-way tag team elimination match to win the vacant Guardians of RISE title. July 13, 2018 – ATTACK! : Mike Bailey and Veda Scott defeated Charli Evans and El Phantasmo. July 14, 2018 – EVE: Charli Evans defeated Laura Di Matteo to qualify for the SHE-1 2018. July 17, 2018 – IPW:UK: Xia Brookside defeated Charli Evans to retain the women’s title. July 21, 2018 – Good Wrestling #9: Charli Evans defeated Chris Ridgeway, Johnny Idol and Veda Scott in a 4-way elimination match. July 28, 2018 – SWA: Kyle Fletcher defeated Charli Evans, Drew Parker and Fraser Thomas in a 4-way match. August 1, 2018 – RISE Ascent – Episode 9 (Taped): Bones Of Contention (Karen Q and Ray Lyn) defeated The Blue Nation (Charli Evans and Jessica Troy). August 2, 2018 – TNT: Eliza Roux defeated Alexxis Falcon and Charli Evans in a 3-way match. August 4, 2018 – HOPE: Charli Evans defeated Ruby Radley. August 7, 2018 – RISE Ascent – Episode 10 (Taped): The Twisted Sisters (Holidead and Thunder Rosa) defeated The Blue Nation (Charli Evans and Jessica Troy). August 11, 2018 – EVE: Addy Starr defeated Charli Evans. August 18, 2018 – ROH Honor Re-United: Kay Lee Ray defeated Charli Evans. August 24, 2018 – ATTACK! : Paranormal ATTACKtivity (Charli Evans and El Phantasmo) defeated Shay Purser and Splits McPins to qualify for the Kris Travis Invitational. Chris Brookes and Lucky Kid defeated Paranormal ATTACKtivity (Charli Evans and El Phantasmo) in the 1st round. August 25, 2018 – ATTACK! : Mike Bird, NIWA & Nothing To Prove (ELIJAH and LK Mezinger) defeated Paranormal ATTACKtivity (Charli Evans & El Phantasmo), Shay Purser and Super Santos Jr..
August 29, 2018 – FCP: Jinny defeated Bea Priestley, Charli Evans, Isla Dawn, Martina, Millie McKenzie and Valkyrie in a 7-way match. August 31, 2018 – FCP: Chuck Mambo defeated Charli Evans, Drew Parker, El Phantasmo and Martina in a 5-way match. September 1, 2018 – HOPE: Charli Evans defeated Bobbi Taylor. September 8, 2018 – EVE: Bars And Stripes (Addy Starr and Rhia O’Reilly) vs. Charli Evans and Kasey ended in a no contest. September 15, 2018 – Good Wrestling #10: Sierra Loxton defeated Charli Evans. September 18, 2018 – ATTACK! : Paranormal ATTACKtivity (Charli Evans and El Phantasmo) defeated Millie McKenzie and Super Santos Jr..
September 22, 2018 – ATTACK! : The Hunter Brothers (Jim Hunter and Lee Hunter) defeated Paranormal ATTACKtivity (Charli Evans and El Phantasmo) to retain the tag team titles. September 28, 2018 – FCP: Chuck Mambo defeated Charli Evans, Dan Magee, El Phantasmo, Kurtis Chapman, Martina, MK McKinnan and Scotty Davis in a 8-way match. October 13, 2018 – WR: Charli Evans defeated Joanie May. October 20, 2018 – SHIMMER Volume 105: The Blue Nation (Charli Evans and Jessica Troy) defeated Team Sea Stars (Ashley Vox and Delmi Exo). October 20, 2018 – SHIMMER Volume 106: The Blue Nation (Charli Evans and Jessica Troy) defeated The Killer Death Machines (Jessicka Havok and Nevaeh) to become #1 contenders for the tag team titles. October 21, 2018 – SHIMMER Volume 107: Cheerleader Melissa and Mercedes Martinez defeated The Totally Tubular Tag Team (Delilah Doom and Leva Bates), The Blue Nation (Charli Evans and Jessica Troy) & The Killer Death Machines (Jessicka Havok and Nevaeh) in a 4-way tag team elimination match to win the tag team titles. November 2, 2018 – Riptide: CCK (Chris Brookes and Kid Lykos) defeated Charli Evans and David Starr. November 10, 2018 – EVE Show 1: Charli Evans defeated Erin Angel. November 10, 2018 – EVE Show 2: Kris Wolf defeated Charli Evans. November 11, 2018 – EVE Show 1: Charlie Morgan defeated Charli Evans. November 11, 2018 – EVE Show 2: Madison Eagles defeated Charli Evans. November 18, 2018 – ATTACK! : Nico Angelo defeated Charli Evans, ELIJAH, El Phantasmo, Joshua Joseph, Martin Kirby, Mike Bird and Travis Banks in a 8-way match. November 19, 2018 – RISE Ascent Episode 21 (Taped): The New Nation (Charli Evans, Jessica Troy and Zoe Lucas) defeated Allie, Shazza McKenzie and Viper. November 23, 2018 – Resurgence: Charli Evans defeated Kanji. November 24, 2018 – Good Wrestling #5: Charli Evans defeated Alex Cupid, Darrell Allen, Jack Sexsmith, Sierra Loxton and Veda Scott in a 6-way match to qualify for the tournament of excellence. Beano defeated Ashley Dunn, Brendan White, Charli Evans, Chuck Mambo and Jayde in a 6-way match to win the tournament. November 27, 2018 – IPW:UK: Charli Evans and Joe Nelson defeated Chuck Mambo and Shane Taylor in a 4-way match. November 29, 2018 – IWL: Charli Evans vs. Jayde ended in a no contest. December 8, 2018 – EVE: Team Hayter (Baynz, Charli Evans, Jamie Hayter and Nightshade) defeated Team Wolf (Kanji, Kris Wolf, Little Miss Roxxy and Sadie Gibbs) in a tag team elimination match. December 14, 2018 – ATTACK! : Dan Moloney and Mike Bird defeated Paranormal ATTACKtivity (Charli Evans and El Phantasmo). December 15, 2018 – ATTACK! : Charli Evans defeated Millie McKenzie. January 5, 2019 – HOPE Evolution 77: Fraser Thomas defeated Charli Evans. January 12, 2019 – EVE: Charli Evans and Millie McKenzie defeated Laura Di Matteo and Yuu. Charli Evans defeated Baynz and Charlie Morgan and Erin Angel and Heidi Katrina and Jetta and Martina and Millie McKenzie and Nightshade and Sammii Jayne to win the battlebowl battle royal. January 19, 2019 – Good Wrestling #12: Brendan White defeated Charli Evans. January 26, 2019 – Resurgence: Charli Evans was in the rumble match for the vacant Resurgence title won by Jack Sexsmith. January 27, 2019 – RevPro: Charli Evans and Sammii Jayne defeated Chardonnay and Zoe Lucas. January 31, 2019 – IWL: Mauro Chaves defeated Charli Evans in a looser leaves IWL match. February 9, 2019 – EVE: The Medusa Complex (Charli Evans and Millie McKenzie) defeated Heidi Katrina and Martina. March 3, 2019 – Resurgence: Kanji defeated Charli Evans in a best 2 out of 3 falls match. March 8, 2019 – EVE: Britt Baker defeated Charli Evans. March 9, 2019 – EVE: Erin Angel and Jetta defeated The Medusa Complex (Charli Evans and Millie McKenzie). March 15, 2019 – FCP: Millie McKenzie defeated Charli Evans to retain the Sendai Girls Junior title. 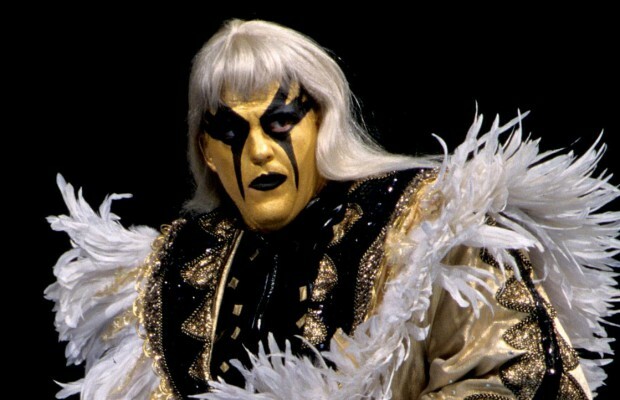 March 16, 2019 – Good Wrestling #13: The Medusa Complex (Charli Evans and Millie McKenzie) defeated The Bitter And The Dangerous (Brendan White and Jayde). March 29, 2019 – RISE 13: The Blue Nation (Charli Evans and Jessica Troy) defeated Team Sea Stars (Ashley Vox and Delmi Exo) to become #1 contenders for the Guardians Of the RISE tag team titles. March 30, 2019 – SHIMMER Volume 109: DASH Chisako and Hiroyo Matsumoto defeated The Blue Nation (Charli Evans and Jessica Troy). March 30, 2019 – SHIMMER Volume 110: Charli Evans defeated Cherry. March 31, 2019 – SHIMMER Volume 112: Charlie Morgan and Kris Wolf defeated The Blue Nation (Charli Evans and Jessica Troy). 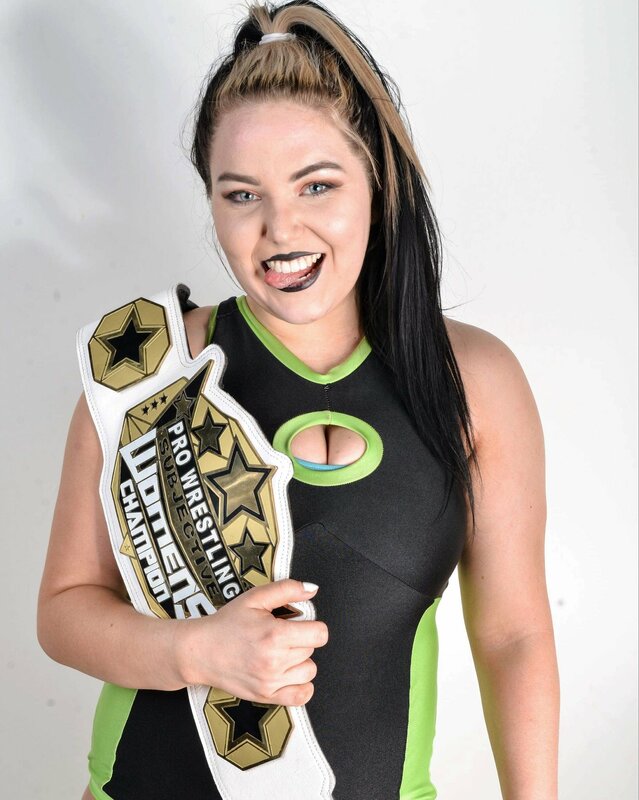 April 5, 2019 – BLP: Jordynne Grace, Kylie Rae, Nicole Savoy, Samantha Heights and Solo Darling defeated Charli Evans, Indi Hartwell, Jessica Troy, Shazza McKenzie and Zoe Lucas. April 5, 2019 – SHIMMER Volume 113: Team Sea Stars (Ashley Vox & Delmi Exo), Kris Wolf and Solo Darling defeated Charli Evans, Jessica Troy, Steph De Lander and Zoe Lucas. April 12, 2019 – Riptide: Charli Evans was in the rumble match won by Jack Sexsmith. April 13, 2019 – EVE: Laura Di Matteo defeated Charli Evans, Gisele Shaw and Little Miss Roxxy in a 4-way match.